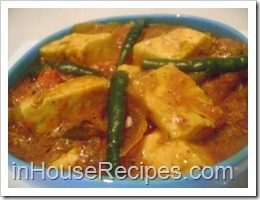 Handi paneer is a delicious and well known paneer preparation. 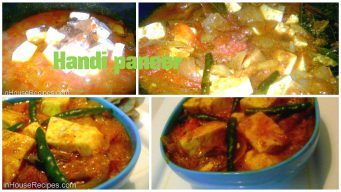 There are many paneer versions that we know and each one has its own unique taste and flavor. 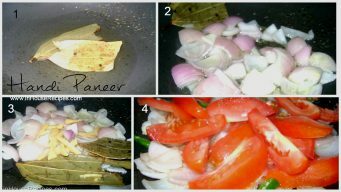 I have tried to present this recipe in a simple and easy manner and i hope it will help you re-create the restaurant style taste at home. We will start the process by heating 1 Tbsp of Oil in a pan on medium flame for about a minute. Then add Bay Leaves and fry for half a minute. Add chopped Onion. Mix well and fry for 1 minute. After a minute, add Ginger. Wait till Onion achieves light pink color. Keep the stove on medium flame. 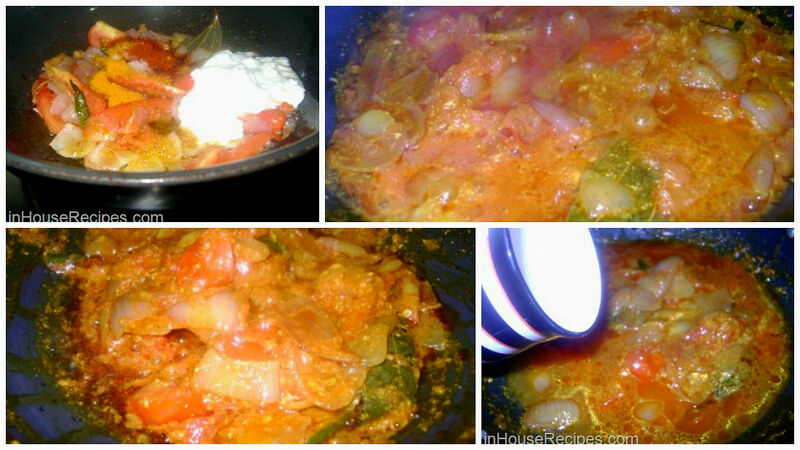 Now add chopped Tomatoes and Green Chilies. Mix well and cook for a minute. 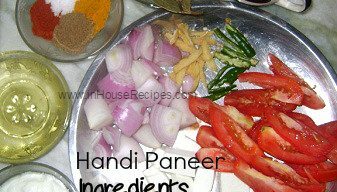 Add Salt, Turmeric Powder, Red Chili Powder and Curd. Mix well and cook till Tomatoes become soft/tender. 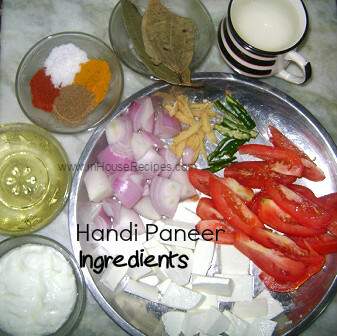 Turn the stove on low flame and let curd get mixed completely with paste. In couple of minutes, curd will not be visible clearly i.e. the white color of curd will vanish. This is what it would look like after curd is completely mixed up with paste. Now add Water. Turn stove again on medium flame and after a boil change it to low flame. Cook until water reduces to half i.e. 1/2 cup the quantity you added . Gravy is almost ready. So now its a right time to add Garam Masala and Paneer. Mix well. Cook for a minute and switch off the stove. Here’s our Handi Paneer ready to eat with Naan/Chapati/Parantha.Hope you will enjoy this recipe.Happy Cooking!!! !